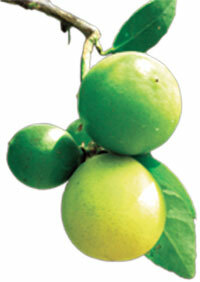 HUANGLONGBING (HLB) or greening disease in citrus plants has been known for over 100 years. It does not have a cure and its symptoms emerge over time. First seen in Asia, the disease has spread across the world, threatening the fruit industry. In absence of effective control methods, the infected trees are culled. What makes it difficult to treat the disease is the limited understanding of its causative agent—a gram negative bacteria named Candidatus liberibacter—that is yet to be grown in lab conditions. Now a study by Hailing Jin of the department of plant pathology and microbiology at University of California, Riverside, and colleagues has shed some light on the mechanism of action of C liberibacter. The study, published in Molecular Plant on February 14, also suggests a new method of testing that can detect the disease much earlier than the currently used methods. Jin’s study is based on the simple observation in other plants and humans: small RNA (ribonucleic acid) molecules are produced inside the host body in response to infections. Working on this premise Jin and her team members started profiling sRNA (small RNA) of both healthy plants and those infected with Candidatus. They found several sRNAs were specifically induced by the infection. Interestingly, an sRNA named miR399, known to be produced in response to phosphorus starvation in other plants, was also present in large numbers in infected plants. This finding implied that during HLB a plant suffers from phosphorus deprivation. Further investigations showed a 35 per cent reduction in phosphorus levels in infected plants in comparison to healthy ones. Based on this information Jin and her team started a three-year field trial in south west Florida, in which phosphorus was applied externally on infected plants. The results have been encouraging. They were able to see “reduced HLB symptom severity and significantly improved fruit production”, reads the study. Apart from this, the study shows that a host of sRNAs produced in response to infection have the potential to become early detection/diagnosis markers for HLB. “It is interesting to see that external phosphorus application can relieve symptoms of HLB. It has great potential in HLB management and needs a wide scale trial in India,” says V K Baranwal, principal scientist at the division of Plant Pathology at Indian Agricultural Research Institute, New Delhi. This is an interesting piece of information on detection and management of greening disease in citrus and will be very useful for citrus growers. It was high time that a little research was done and a successful result arrived at. 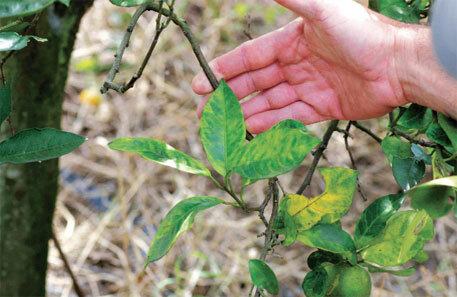 The green bacteria was causing a lot of havoc to the citrus plants. With the correct use of phosphor, this threat can be neutralized.